If it ain’t broke, don’t fix it, right? That maxim bodes well for many areas in life, but in the auto industry, it only works for certain recipes that continue to smash sales numbers year after year. The Mustang is a good example of this, but even Ford decided to deviate with the latest iteration of the car by adding an independent rear suspension. 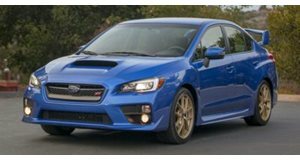 According to , Subaru, on the other hand, is content with letting its WRX go stale for yet another year. For 2017, Subaru will let its top road going performance car stay pretty much the same as it is now since the Japanese automaker released a light refresh almost two years prior. That’s because, while the at the 2016 New York International Auto Show in March and set to go on sale as a 2017 model, the car's new Global Platform, which allows for hybrid drivetrains to help supplement the engine, will not underpin WRX models anytime in the near future. Subaru will instead utilize the same platform it’s using on the current WRX for another four or five years. Speaking with , an unnamed Subaru engineer divulged the unfortunate news. They said, "We would love to have the WRX on the new platform, because the car would be a lot better...but the 2018 will be a facelift only." It’s not that the current WRX STI is bad, but its age is showing and to keep a fresh supply of new customers coming in from outside of the Subaru fan club, the automaker is going to have to keep things interesting. With a a power boost and new aesthetics borrowed from the fifth gen Impreza, Subaru could keep the WRX STI from eroding into irrelevance due to its age, but by the 2020s, more will need to be done. Future renditions of the WRX STI could see a revised version of Subaru’s turbocharged FA20 2.0-liter engine aided by electric motors since that seems to be where things are going. Subaru’s logic makes sense given the natural production cycle of the industry, but it may cost the automaker dearly for during the last refresh.